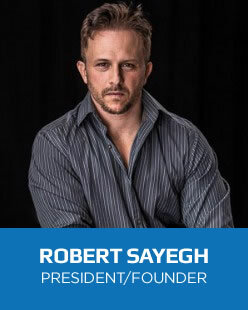 Robert Sayegh is the Executive Producer and Founder of R World Media, in charge of the company's creation and development of new programming, content, casting, talent management, and day-to-day operations. Over his 20-year career, Rob has assisted in, recruited for, and supervised almost all facets of production and has been a part of many writing and pitch teams, including those presenting to Discovery Channel, HGTV, PBS, Sesame Street, ESPN2's Motorsports Division, True Entertainment and The Cooking Channel. Robert has also been hired as the Casting Director for numerous series, including ones on Lifetime Television & the MLB Network. He has worked for other networks including Tru TV, MTV2, E! Network, PBS, NBC, Discovery Channel, HGTV, and acted as a creative consultant for Kindle Creative, the creative division of Mobile Video Production. During his freelance career as a Producer/Writer, he has worked on shows/events such as The VMA's, Fashionably Loud, VH1's Divas, Woodstock '99, Fairway to Heaven Golf Tournament, NBC's The Marriage Ref, E! Network's Ice Loves Coco, MLB Network's Fan Cave, and the James Beard Award Winning Culinary program, Food Trip with Todd English. This Brooklyn-born writer has also written for various sports and entertainment magazines over the years, as well, interviewing people such as Ed Bradley ("60 Minutes), Tom Gilroy (Writer/Director, "Spring Forward"), Dres from Black Sheep, Brandon Tierney (CBS Sports Radio/That Other Pre-Game Show), Don La Greca (New York Rangers/ESPN Radio) and ReischeaCanidate (ESPN First Take). Robert is the author of The Dividing Line published in 2005, and is currently involved with numerous television, film, and book projects that are in their development to pre-production phases. Most recently, the short he Executive Produced, Wrote, Casted, and did Locations for, BEYOND THE RUSH, won the prestigious Director's Choice Award for Best Overall Short at The 2017 Rincon International Film Festival (PR). Paul Alessi has an uncanny ability to get as much value out of every filmmaking dollar as possible and has overseen all elements of pre-pro, production, post-production, and understands everything that goes into developing, creating and distributing a film. He has worked on the producing teams of "Dominion" starring Lisa Marie, EXCISION, starring Anne Lynn McCord (90210) and Ariel Winters (MODERN FAMILY), which premiered at Sundance 2012, TEN 'TIL NOON, THE SOCCER NANNY, SAMUEL BLEAK and the infamous documentary OFFICIAL REJECTION, as well as the behind-the-scenes, EPK for the cult film THE BOONDOCK SAINTS: ALL SAINTS DAY. 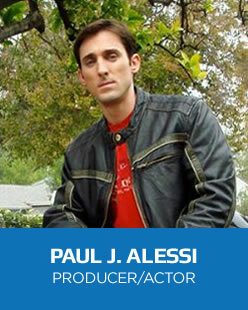 Paul also produced and starred in the feature film ALPHA MALES EXPERIMENT, which was released in the fall of 2012, and earned the BEST OF FEST list for Top 10 Comedies. Mr. Alleyne was born in London and moved to New York to establish a career in the film industry, starting with assignments in entertainment management and a documentary film. His first feature films were "To Wong Foo, Thanks for Everything, Julie Newmar" and "Hackers," for which he was production secretary and post-production coordinator. This led to a partnership with renowned line producer G. Mac Brown; together they worked on major studio features, including Nora Ephron's "Michael," Frank Oz's "In & Out," Sidney Lumet's remake of "Gloria" with Sharon Stone, and Nora Ephron's "You've Got Mail" starring Meg Ryan and Tom Hanks. 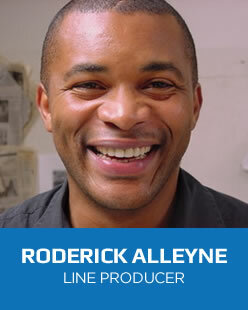 Mr. Alleyne was responsible for all aspects of physical production, from budgeting and scheduling through photography. Mr. Alleyne then turned his attention toward smaller projects that provide more intimate experiences for an audience. Projects included a position as Second Unit Production Manager on Francis for Coppola's "Megalopolis," and most recently, as Business Manager and on-set Line Producer for the four-part PBS documentary "They Made America." Through partnerships with Greylight Films and Acme Films, Mr. Alleyne has simultaneously worked as a Development Executive, identifying and acquiring quality properties and packaging them with directors, talent and financing. In recent years Mr. Alleyne has focused on documentaries and reality television. He has line produced 12 projects, from "The Promise", (a documentary about Bruce Springsteen), to "Chrissy & Mr. Jones" for VH1, and "60 Days In" for Discovery. His experience and skills range from development through post-production and span from feature films to television, giving him a full understanding of the filmmaking process from script to screen. 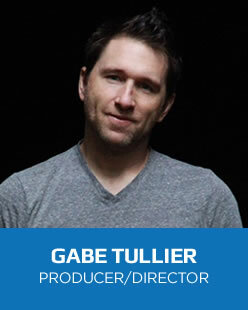 Gabe Tullier has spent the last 20 years in production performing various roles on both sides of the line. He is a go to production manager in Florida for commercial and TV projects. He has worked with brands such as Nike, Puma, Budweiser, Amino Vital, Stouffer's Frozen Food, Adidas and American Express on commercials for broadcast and digital. As a producer/director, Gabe has produced for Lifetime TV's shows, Designing Spaces & The Balancing Act as well as award winning short films and music videos. Heidi Segal's New York Film Academy (NYFA) Producing Conservatory short film "Matthew's Monsters" was selected for the 2017 Cannes Short Film Corner. Heidi adapted this film from a story in the book "Icarus of Brooklyn" by Matthew Alper, which she is developing into a feature film. As a recent NYFA Producing Conservatory graduate, Heidi was selected as 1 of only 150 students to participate in the 2017 Cannes Film/Film Business Program with the American Pavilion and was also nominated by NYFA as a candidate for the 2017-2019 Producer's Guild Fellowship Program. After a 25+ year career as a corporate executive and business developer in the defense contracting industry, Heidi returned to school at NYFA in New York City to learn producing, filmmaking, and directing. While at NYFA, she wrote, directed, produced, and edited 6 short films and supported over 15 other short films as Producer, Production Supervisor, Production Designer, Casting Director, Director, DP, and/or Editor. She also produced and edited a Reality TV Sizzle Reel and Commercial, and was the Production Designer and Editor for a music video. Heidi relocated to NYC and started Mixed Sygnls Productions LLC in early 2016 and is developing 3 full-length feature films, a competition/elimination show, a reality TV series, two scripted TV series, and two spec commercials. While at NYFA, Heidi interned with HudSun Media in NYC where she worked on the ID Channel reality series Bad Blood - Season Two as a Researcher. 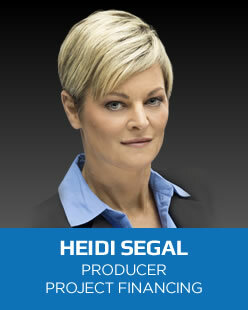 After graduation, HudSun hired Heidi to continue her research support for episode development and she assisted the production team to prepare to shoot the 5th episode. 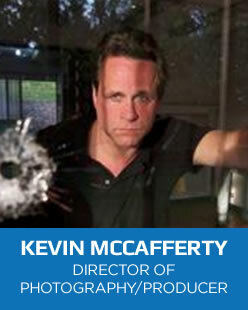 Kevin McCafferty is an Emmy Award winning Director of Photography with extensive broadcast and media experience. Kevin has spearheaded several independent film and broadcast startups. Kevin founded Mobile Video Productions in 1988 and has been a leading factor behind MVP's strong reputation. Stating at the forefront of broadcast cable expansion of the 1980's Kevin oversaw the development of many national brands' syndicated programming that have become institutions in the modern broadcast landscape- these include " Portraits of America" with Hal Holbrook, Cable News Network, "A Current Affair" for 20th Century Fox, "20/20", "Fox Files", "ESPN Classic". Kevin's most recent work featured on Comedy Central A TV Movie Special- Jeff Ross Roasts Criminals: Live at Brazos County Jail and The Daily Show with Jon Stewart's Final Episode – Jon's Last Joke, and The HBO Funny or Die Special: Ferrell Takes the Field. 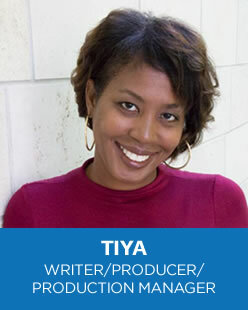 Tiya is a transcriber for "Duck Dynasty", "VEEP", "Jep and Jessica: Growing the Dynasty" and "Going Siral". She has also produced personal projects, a collaborative documentary and is currently writing a script based on actual paranormal experiences. She began her production career as an intern with BET Networks in New York City, has worked as an Associate Producer on several reality television programs--"The Six Little McGhees", "Lady Preachers", and "Chrissy and Mr. Jones"--and a Production Coordinator for a feature film, "The Reliant" to be released in 2017. Tiya graduated from Kentucky State University with a Bachelor's Degree in Fine Arts and attended The Ohio State University Graduate School of Communications. She lives in Columbus, Ohio, has four children and three grandchildren. 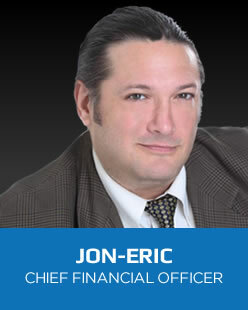 A life-long New Yorker from Forest Hills, Queens, Jon-Eric comes to us here at R World Media with a strong background in the financial sales industry where he spent much the early years of his career learning how to structure lucrative debt to equity business deals from refinancing complex real estate holdings to leveraging stock options. Jon Eric has an acute understanding of complex arbitrage and financial instruments, which has allowed him to have great success in building client relationships. He brings with him an extensive portfolio and book to R World Media that will help in building business liaisons for all aspects of the company's multi-media structure. One of Jon Eric's best attributes is how to discover precisely what a client's wants and needs are and how to structure complex deals so that they will not only benefit the company for which he works, but also the customers he serves. He says… "In real terms, my career objective is to provide the highest level of service to my clients while maintaining the utmost in integrity, honesty and professionalism in pursuit of mutual client and personal satisfaction."